Sunlight made into electricity. It’s that simple. Enough electricity to power not just a few appliances, but an entire home, including transportation. That’s where we are quickly heading, but let’s deal with the basics first. PV stands for Photovoltaic. — The quantifiable process of converting sunlight (solar) into electrical power. For the conversion to be realized and useful, the right semiconducting material must be in place. — This results in efficiency that helps us put into perspective how solar energy can and does compare to historical methods of producing electrical power. Solar cells are the fundamental, man-made part. Each cell produces about 1 to 2 watts of power. While that isn’t much, for the small size they are, it’s actually quite sufficient. Group cells together into modules and stack modules into arrays, and suddenly mega and kilowatts of power are realized. To visualize what we are communicating, check out this short video from the U.S. Department of Energy. For the solar cell to be effective, it must be protected. Durable glass for its transparency is the obvious choice and results in the modules we call solar panels. A module can be as small as those found on calculators, which date back to mid 20th century technology. Or modules can be arranged as arrays, which today is what we consider to be a solar panel system. Contemporary solar cells are manufactured in about a half dozen ways. The ongoing and still most popular material is crystalline silicon. Its efficiency in the conversion process is why it continues to be popular. Yet, it is also more costly, which certainly matters when it comes to the idea of using solar cells to power a home. For more cost effective systems, solar cells are packaged in thin-film materials. Currently, this is where much experimental technology is occurring and emerging. It also leads to BIPV materials, or solar cells integrated into construction materials, such as the case with Suntegra and other emerging BIPV solar shingles and tile offerings. Because solar panels, of the non-integrated variety, are still the dominate option in the market, we focus on the components, costs and advantages/disadvantages for this type of PV system. Each hour, there’s 122 Petawatts of solar energy delivered to the earth from the sun. To help put this in perspective, this is around 10,000 times the power consumed by all humans in one trip around the sun (aka 1 year). In the last century, we are just learning to tap into solar energy in a meaningful way. Efficiency of cells and ultimately arrays is the ongoing work of research scientists. Highest efficiency arrays are either too experimental for mass production or are relegated to government and major industry purposes. For a home, the process of solar generation into electrical power requires other technologies to be in play. Foremost is placement of arrays. Positioning toward the south is a given. Thus rack mounting panels onto a southern exposed roof is the norm. Though, not necessarily the most efficient. A solar panel mounted on the ground that tracks the movement of the sun is currently the most efficient way to harness solar energy through a PV system. — It can, rather easily, power itself, plus have power left over to supply power to many other applications. Yet, this type of system is generally more costly upfront, is not suitable to all forms of residential living, and requires much more ongoing maintenance than rack-mounted systems. For every PV system, there are generally 4 primary components. The solar panel, which we’ve described already. A controller, which is what regulates the amount of electricity in the system, but particularly to the battery. You didn’t think the power was directly feeding the needs of the home did you? No, a battery is in place so electrical energy is stored for later use. The last primary component is the inverter. Energy stored in a battery needs conversion, from DC electrical current, to AC, in order to power most modern conveniences. That’s what the inverter is for. It’s helpful to understand there are essentially two types of systems you would install for a home: off-grid and on-grid. Off-grid is perhaps what most who are new to solar power conceive a system to be. It means all power generated from the PV system, will be used solely to power the structure it is connected to. Whereas on-grid (or grid-tied) systems feed to the local utility provider, and then back to the home in a metered process. Each of the two methods have their advantages and disadvantages. Because storing energy inevitably leads to wasted energy, it is usually far more cost effective for a homeowner to go with a grid-tied system. It is unlikely that a homeowner would use all the power generated from their solar panels, and so in essence the utility company is paying you for that energy and then providing that same cost back to you for that electricity. So, you pay for what you need and don’t pay for wasted energy. In this case, the utility company serves as the virtual battery within the system. Advantages of off-grid are few, but depending on the situation with your residence or style of living can outweigh the advantages of being on the grid. If living in a rural area, with less access to a utility company, then the costs to get into the grid would be prohibitive for most to make it worth their while to go solar. Plus, there’s just the notion of being inherently self sufficient without relying on the utility company for power storage. Installation costs are the determining factor for most homeowners ready to move in this direction. It takes more homework than we can possibly provide should you choose to go the DIY route and, for sure if you are considering going with an off-grid system. However, let the guys at WholeSaleSolar.com and GoGreenSolar.com to help get you started in that direction. First things first. One advantage of going solar, is federal tax rebates for PV systems. Such rebates were recently extended, through EnergyStar.gov, to ensure they go through 2021. For 2018 through 2019, whatever cost you spend, you can get a rebate of 30% off the price. Must apply through the government first, but the savings of thousands of dollars is very likely worth it. Next is the realization that you’ll be generating watts of electricity at a cost to you, from installation of materials. So, essentially there’s a cost per watt factor that needs to be calculated and then determined by you, the homeowner, to ensure it is worth your time and money. Chances are it is, and latest information is that costs of material continue to decline. If basing decisions on information from even 5 years ago, it may lead you to think it is too unaffordable. Yet, what hasn’t changed is that a typical solar panel system will save 30% to 70% off your utility bills when fully implemented. Walking you through all the considerations is challenging to do in short order. Fortunately, the information at SolarPowerAuthority.com and EnergySage.com does this quite nicely. The key information is that your cost for material is greatly enhanced if going with a buyer (hired professional) that has greater buying power than you. Once you do the math on your own, you’ll realize what you can afford in terms of amount of panels and the watts generated from such a system. With a pro at your side, you can likely afford more panels, and reduce your cost to watt ratio. surveying your home’s roof for orientation, ability to hold the extra weight, and determination of panels is a first step, that may take awhile. Especially if additional permits and fees are involved. are they experienced in on-grid installation? how much experience do they have installing PV systems? are they properly licensed and certified? Don’t just take their word for it, call the county where you live to check on this. what warranties can they provide? And do you truly understand what the warranty is covering? what does maintenance entail after installation? Who’s responsible for that? After all the information is in, are you really saving money over say a 10 year period? 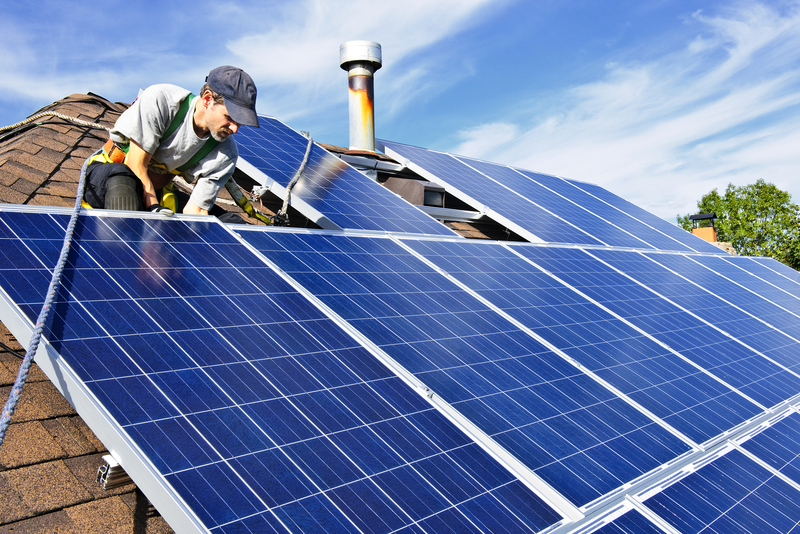 The upfront costs are usually the reason most people don’t go with solar energy. $15,000 is a lot when you compare it to a yearly bill of say $1,200 for current energy costs. In 2018, the average cost is closer to $20,000 and yet if we factor in the federal rebate, then it’s actually $14,000. Still, there are enough factors to consider that could lower, but for sure may raise the price. you still pay full price to the utility company for energy used there, even if its reduced some. Plus you are paying the solar leasing company for the energy they are providing you. With all that said, leasing does make it more affordable on the front end, but less of a solution over the long haul.